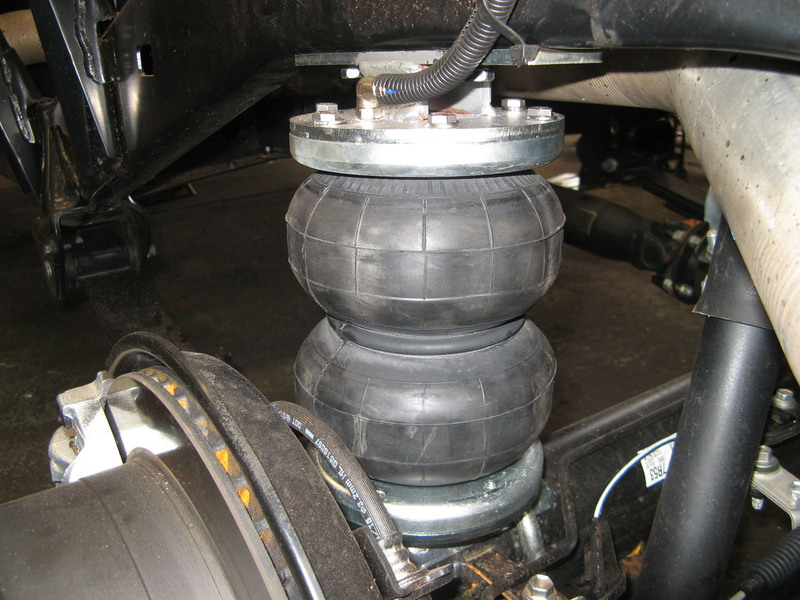 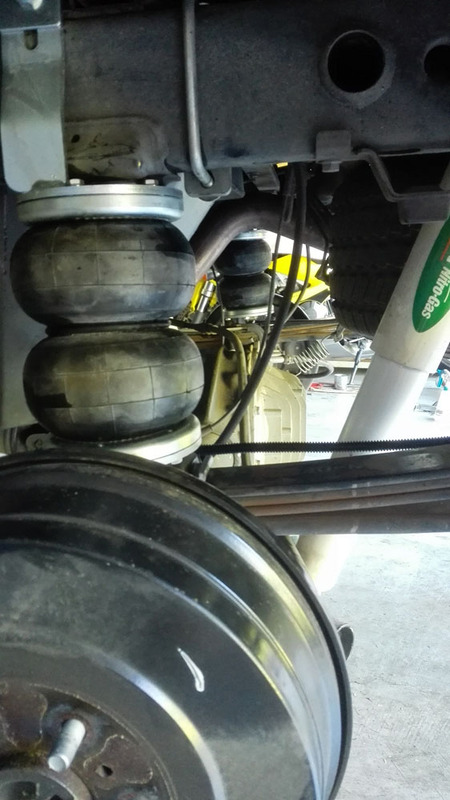 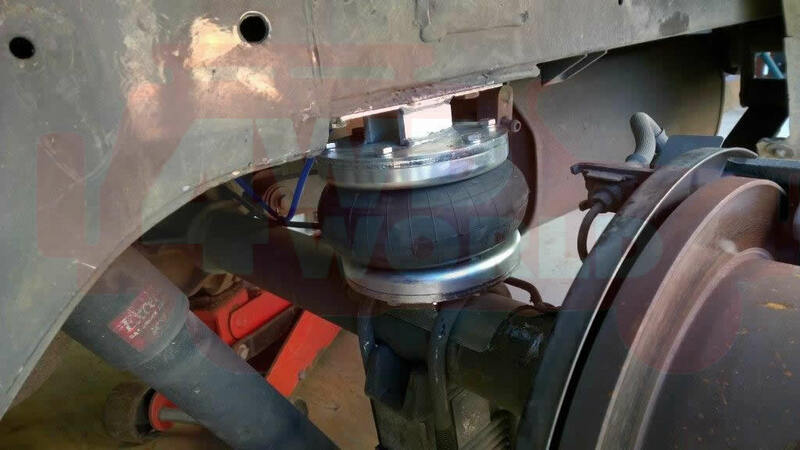 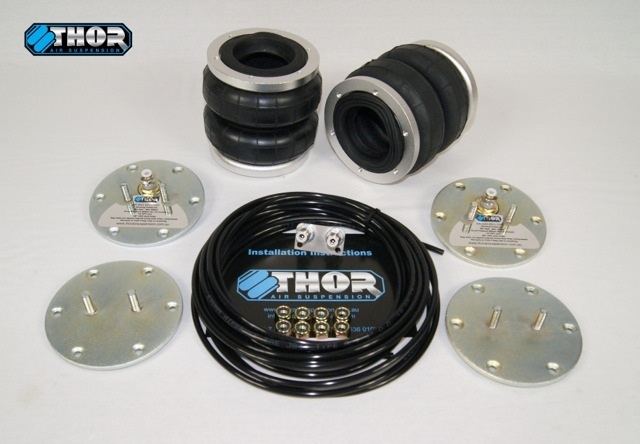 'Thor Air Suspension' makes the Australian Made "Boss Style" Airbag Suspension Kits. These are the new standard in affordable Air Suspension. 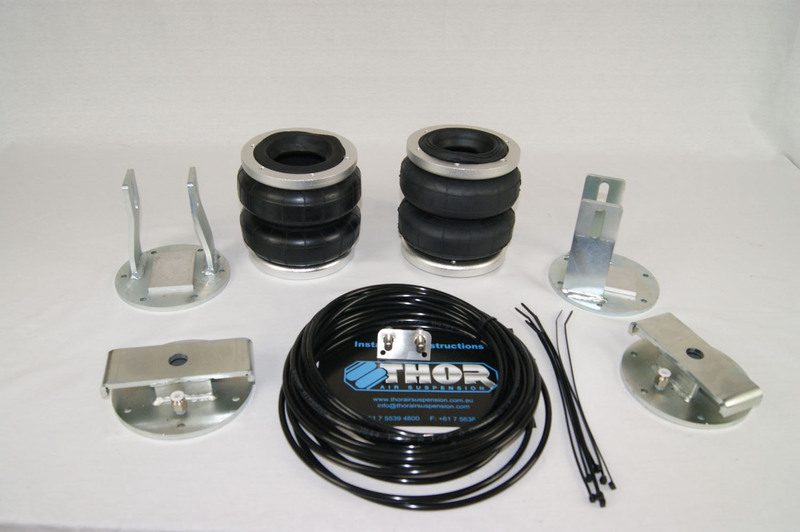 Our brackets have been tested by a Government Accredited Certifier to 51kn, that's just over 5.11 tonne! 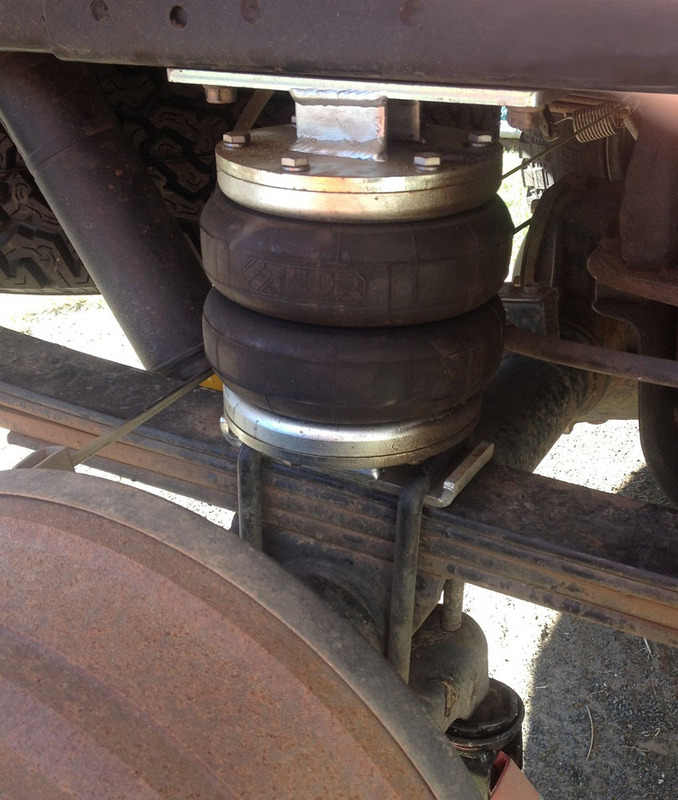 These are imported / not made in Australia, (as we don't have the technology available here). 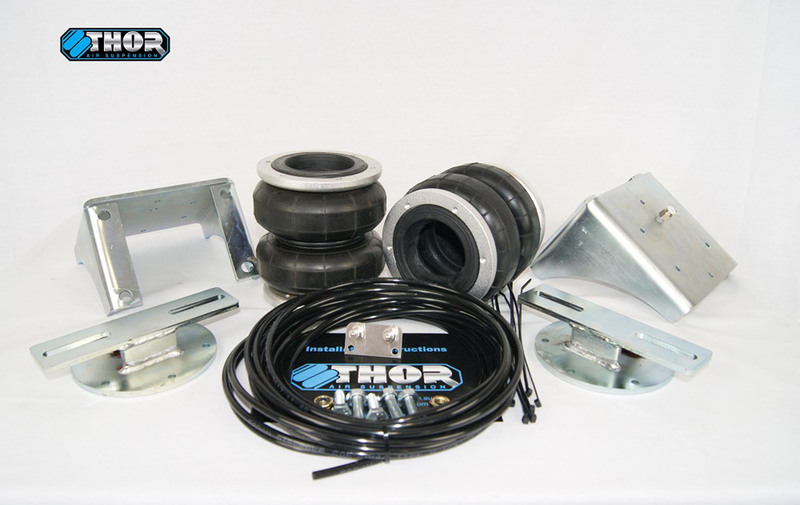 These universal kits are ideal for fitment to less popular vehicles (we have kits for popular leaf sprung vehicles). 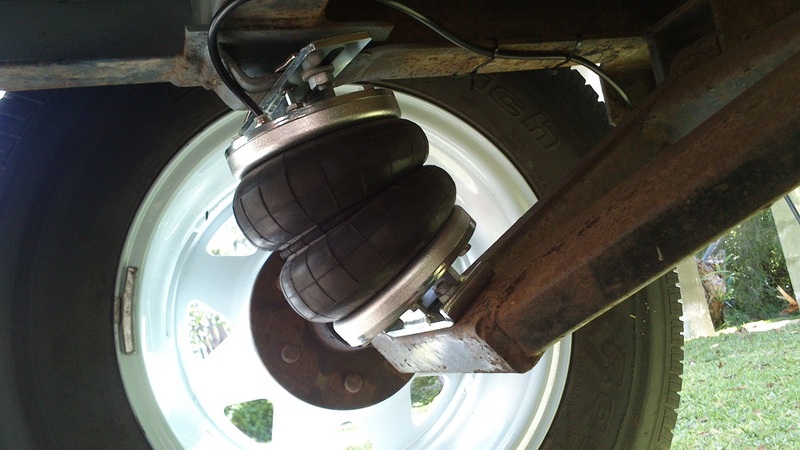 Forged aluminimum ring that clamps the rubber bellows to the metal end plates. 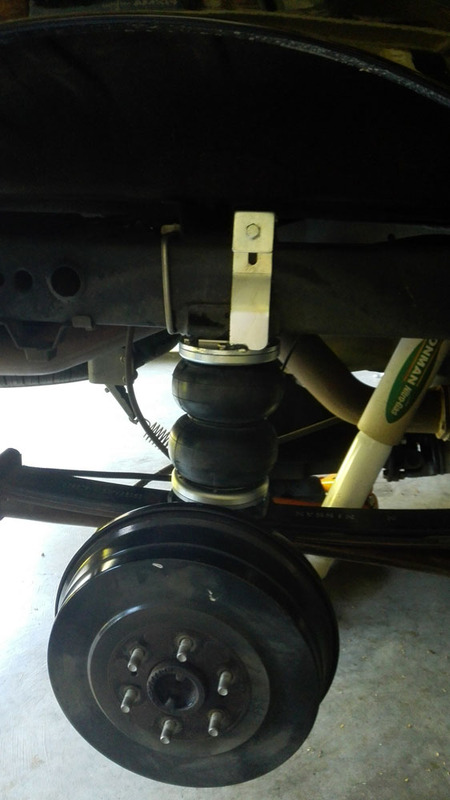 These have bolts to enable fitment to mounting brackets to chassis and diff/axles. 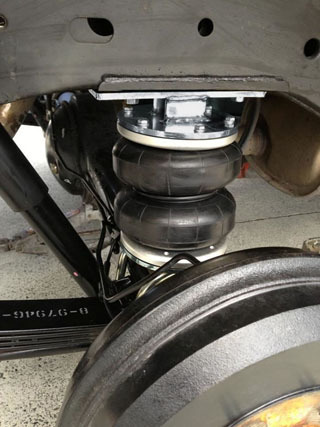 Airlines, valves and mounting plate for valves are included. 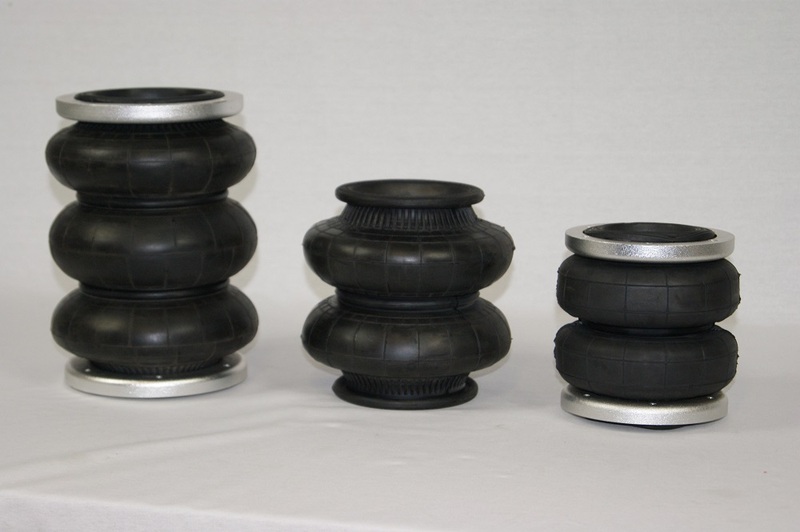 These are double convalute style and can be joined together to double the height if necessary. 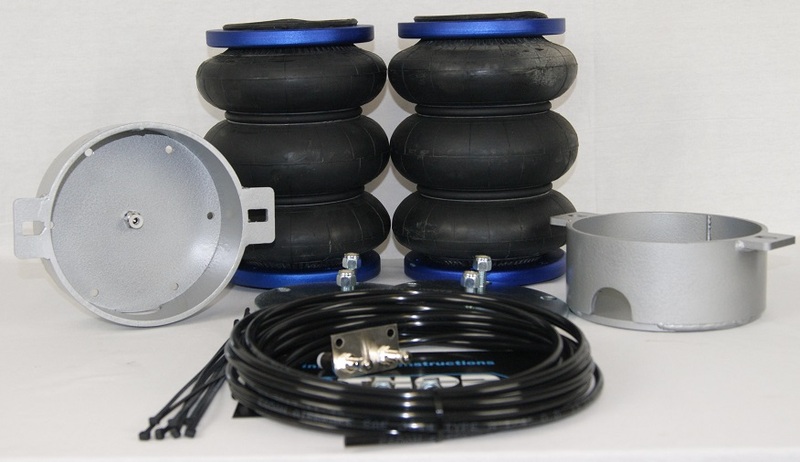 This kit has the triple bellows to increase movement to over 10" (250mm). 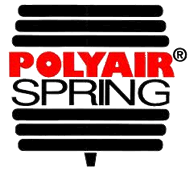 It is ideal for vehicles with over 4" (100mm) of extra height springs and shocks.